The education team at Bream Head can also help organisers arrange a visit to the reserve with a talk from one of our rangers and/or we can arrange a local expert to visit the camp to work with your group. Please phone Sue Halliwell 09 436 0966, Claire Pearson 09 434 0571 or Robin Lieffering 09 434 0751 for more information. Trails from 20 minutes to over night. 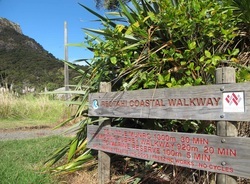 Don't miss out on Mount Manaia Trail, which can be started right behind the Hall – ask the caretaker where path starts. · Hike 15 minutes to Castle rock along the beach and fish off the ledge. · Build your own shelter. Find what you need to survive. Sleep in it. Decorate it. Name it! Defend it! · Design a treasure hunt and search for environmental beach/bush items like compound leaves, types of shells, etc. · Swim over to island in front of the camp and go explore. · Surf & Turf? Pair up and run a Master Chef in our lovely catering kitchen. Serve on the beach on the mountain. · Get a free speaker: e.g. Northland Astronomical Society. Backyard Kiwi or Whangarei Coastguard. 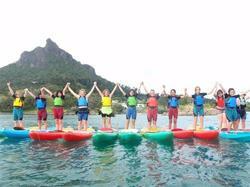 Your group may qualify to use the Manaia Camp kayaks. Speak to our booking office if you wish to make use of the equipment. Maintenance fee of $200 per group for qualifying groups. Download the activity sheet by clicking on the picture. We offer programmes for both primary and secondary students. 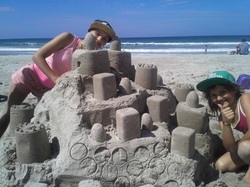 We are able to travel to any coastal location in Northland. We can deliver kayaking at your school camp, class outing or run an elective to suit the age and needs of the students.